This is a surface automatic mount nut nozzle structure, the department used to draw the nut so that surface automatic mount operation, comprising: a hollow tube, one end terminating mouth with a cover, a cover on the opposite side inversely to the two arcuate suction holes. Application, the cover may be masking a hollow screw nut, and to the edge of the suction hole is on the side of the nut solid material, in order to provide sufficient suction force drawing nuts, applicable to all types of surface automatic mount project. This product is designed for simple structure, easy to manufacture, easy surface automatic mount Nut production, reduce costs, and it could be a radical improvement in the practice known structure stamped packages trouble, and in the processing of waste nor can comply with environmental requirements. Because nuts of different specifications, which may have different openings, but the edge is still some of the material thickness, so the product must be considered good as long as the mouthpiece of the gap in the application, without frequent replacement, operation is very convenient. This product nozzle, lean, reusable, cost reduction and does not produce waste discards and surface automatic mount nut nozzle structure, with mass production, the value of reducing costs. Standardized design time and cost saving design. Cheap price, because standardized mass production. Can be plated gold, lead free tin plating, and solder reflow oven function better. 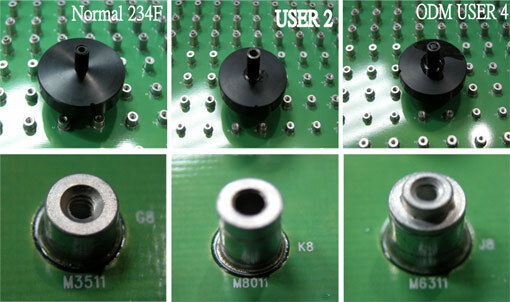 Customized Nozzle and Nut standardized design. Standard Screw Type: M16 / Pitch 0.35mm; M20 / Pitch 0.4mm; M25 / Pitch 0.45mm; M30 / Pitch 0.5mm…. 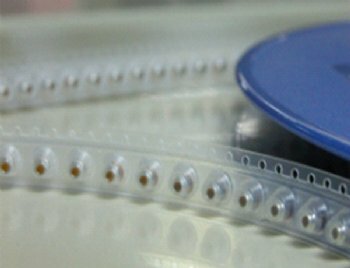 International standard EIA tape packaging, high production efficiency. Because nuts of different specifications, which may have different openings, but the edge is still some of the material thickness, so the product must be considered good as long as the mouthpiece of the gap in the application, without frequent replacement, operation is very convenient. 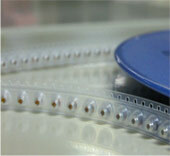 SMT automated production, reduce the amount of work circle time. 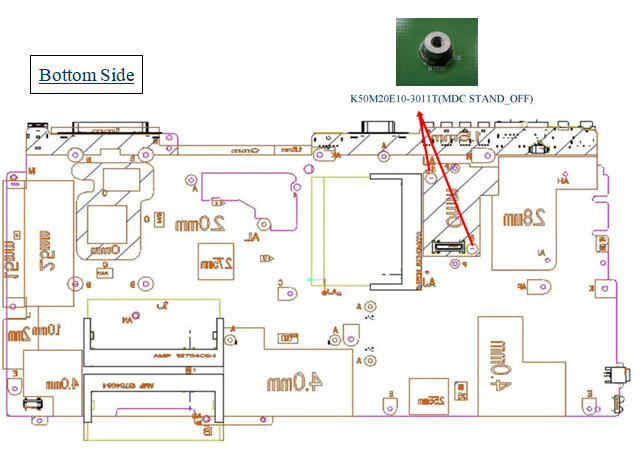 Can be plated Au or Sn, and solder reflow oven function better. 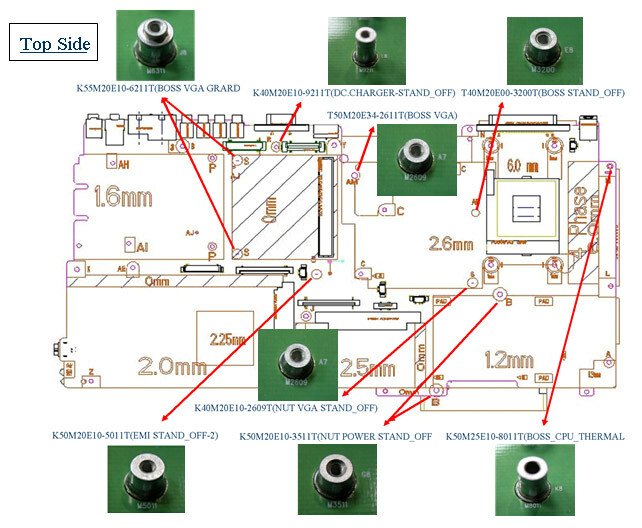 The printed circuit board of high adhesion strength. Can be customized requirements any specifications.